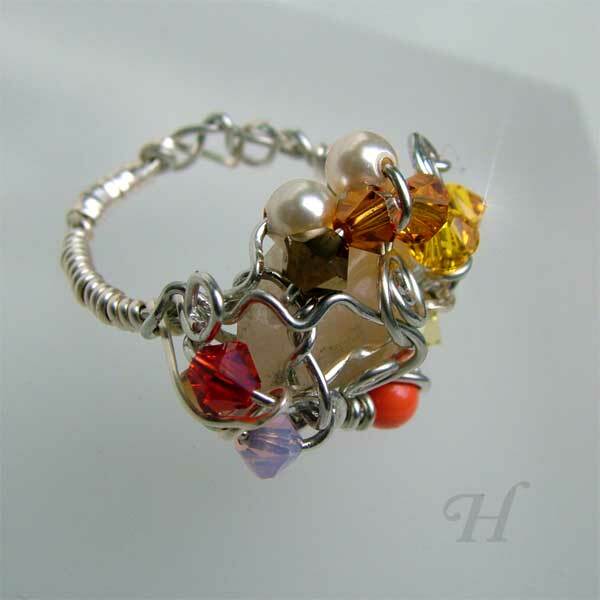 This wire wrap jewelry ring fits me to a T and I do love it. Let me just say - this jewelry ring is Mine! 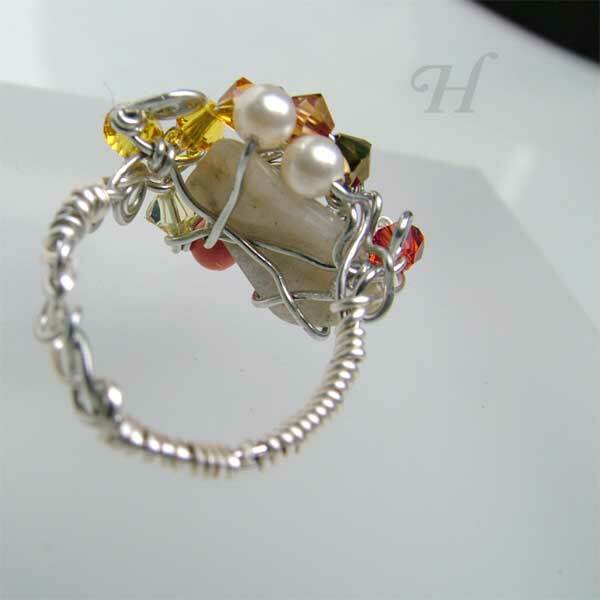 This is another one of my experimentations - randomly wrapping a gemstone to start, securing it with wire and making a multiple style (yes, experimental) ring band and then adding oodles of Swarovski crystals and pearls. 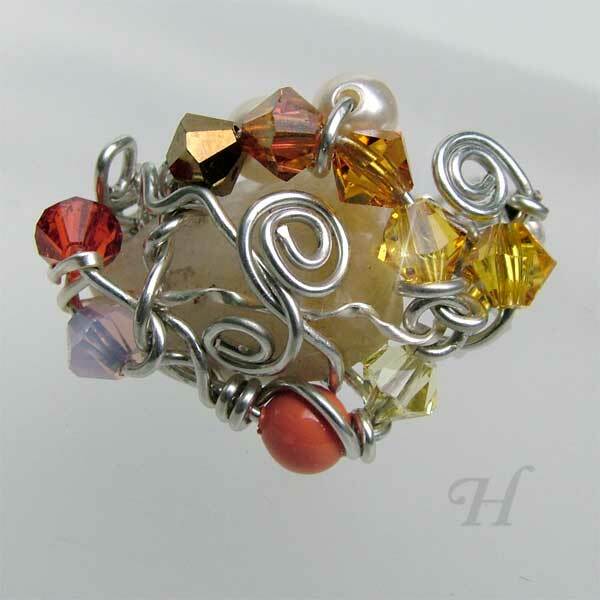 I chose this gemstone because it had a bit of a concave beneath so that it would have a better sit on the finger. (However I found out with later experiments that that is not so important at all). You would not believe it - at first I wasn't sure myself - but though it might look a bit rough, it fits like a glove. I have worn it day and night, night and day - in the shower, washing up, garden work, and of course more jewelry work - and it doesn't catch nor snag on anything. So I love it! You might also think that the band looks a bit tatty (I told you I was experimenting!) but it works really really well and looks uniquely intriguing when worn. 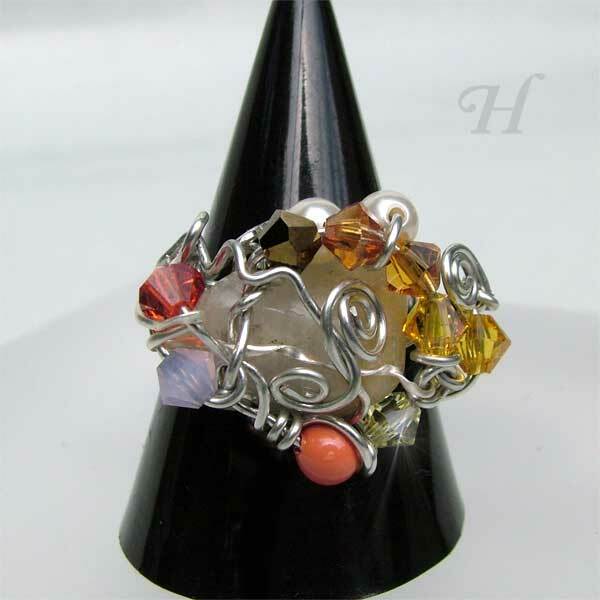 The ring band is something I can improve on but I do like the idea - a combination of style (manual wire coiling and braiding).